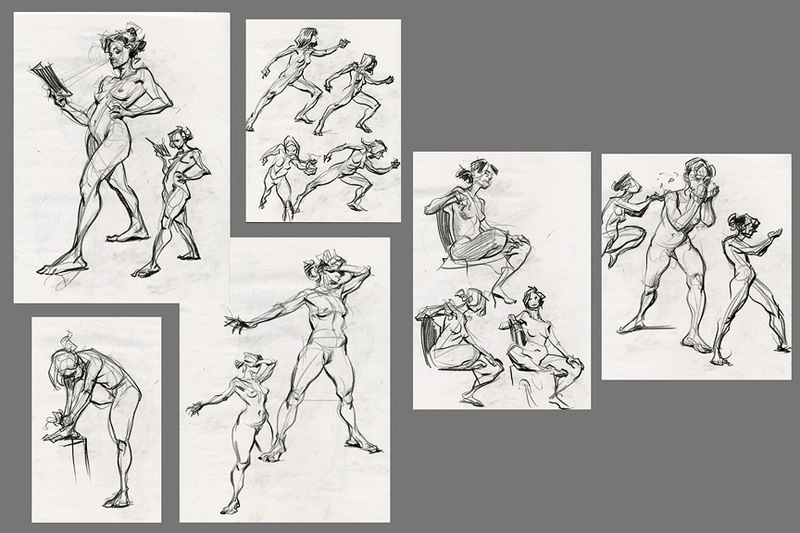 Also, here's a solid crit from Dado Almeida on dragonpants. He eliminated an awkward overlap/tangent and gave a little character to those once-taut underoos. Thanks, Dado! Good calls, both! Plus, everything looks better under a sepia tone for some reason. I really enjoyed the first blue dragon. The red one just gives off an awkward pee wee herman vibe. Pee Wee does love his giant underpants. 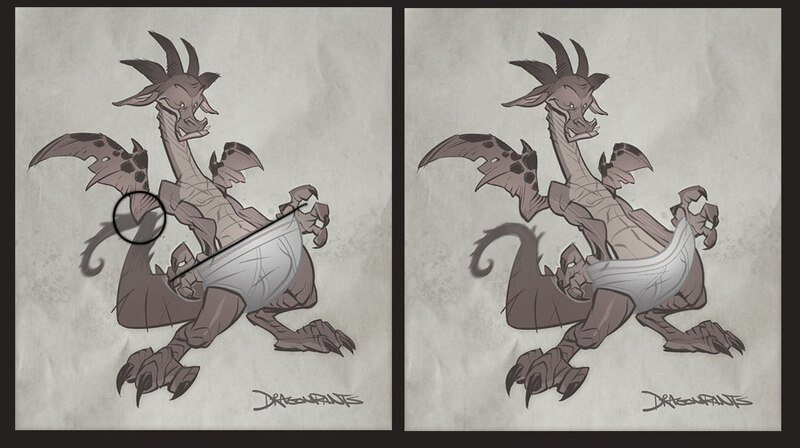 You know there's already a dragon wearing underpants. Fin Fang Foom. But I like the addition of the nekkid chicks, so that tops it for me. I'm trying to think of some Puff the Magic Dragon lyrics you could put to this piece.